Cal Mag Citrates Malates by Jarrow Formulas is a great product! I love the Malate part of the ingredients for achey muscles. Citrate form of calcium always better. 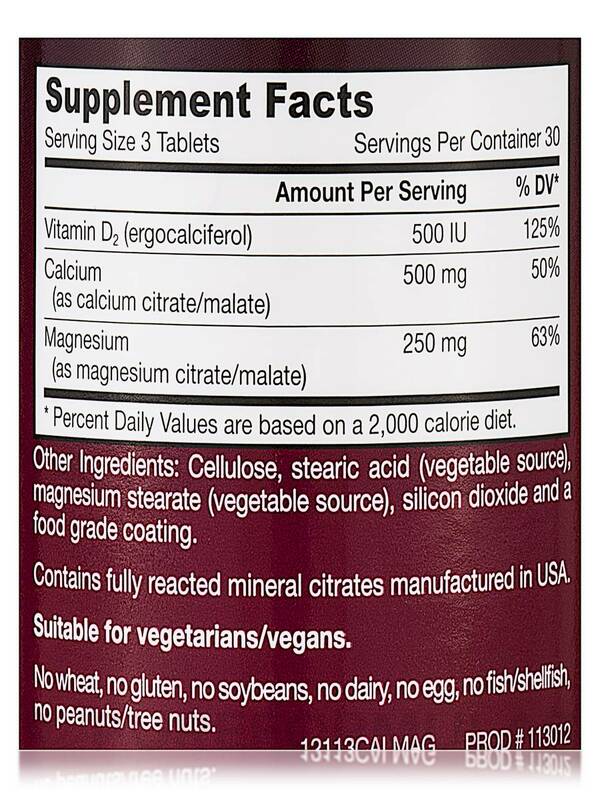 Cal-Mag Citrates/Malates 90 Tablets from Jarrow Formulas® may assist with healthy bones promotion in your body. It is a well-known fact that Vitamin D is essential for our overall bone health. 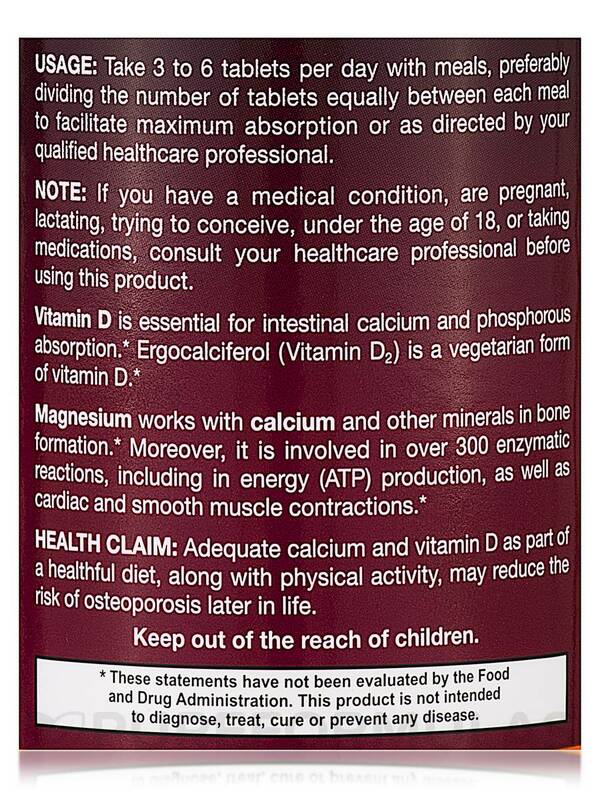 The vitamin helps in calcium assimilation in the bones and intestines. 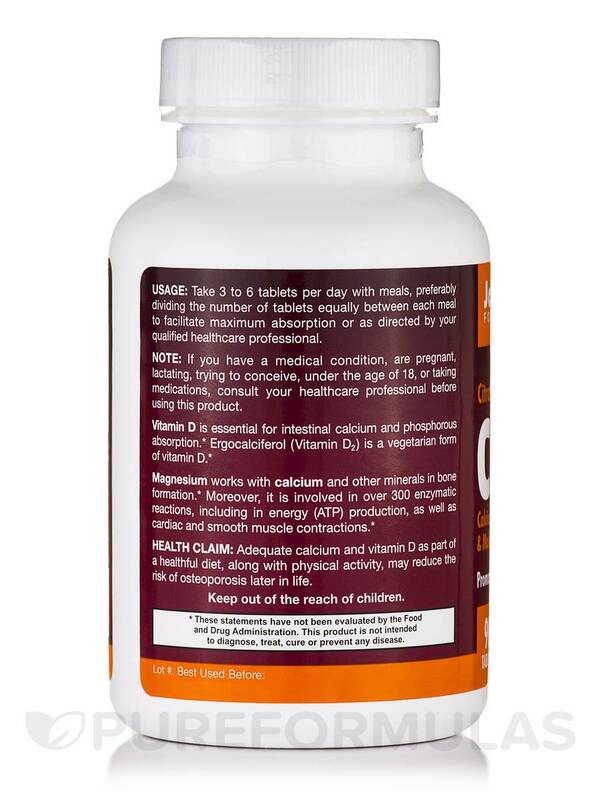 It also supports phosphorus absorption in the body. Deficiency of Vitamin D in the body may cause rickets. Ample supply of Vitamin D is needed to potentially treat conditions like osteoporosis (weakness in the bones)‚ osteomalacia (pain in the bones)‚ hyperparathyroidism (potential bone loss) and osteogenesis imperfect. 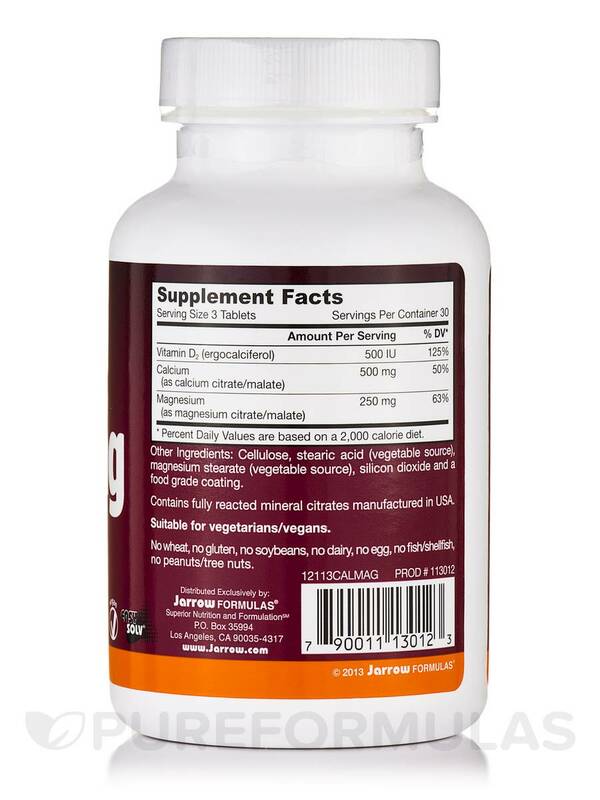 This Jarrow Formulas® supplement contains Ergocalciferol and minerals like calcium and magnesium. Ergocalciferol is the vegetarian version of vitamin D. It is also known as Vitamin D2. The combination of minerals like magnesium and calcium in the body is said to promote the formation of new bones in the body. Apart from this‚ the combination may also act like a catalyst to almost 300 enzyme-related activities – such as‚ ATP synthesis‚ contraction of cardio and smooth muscles. The supplement contains no dairy products‚ no wheat‚ no peanuts or tree nuts‚ no eggs‚ no soybeans and no fish or shellfish. 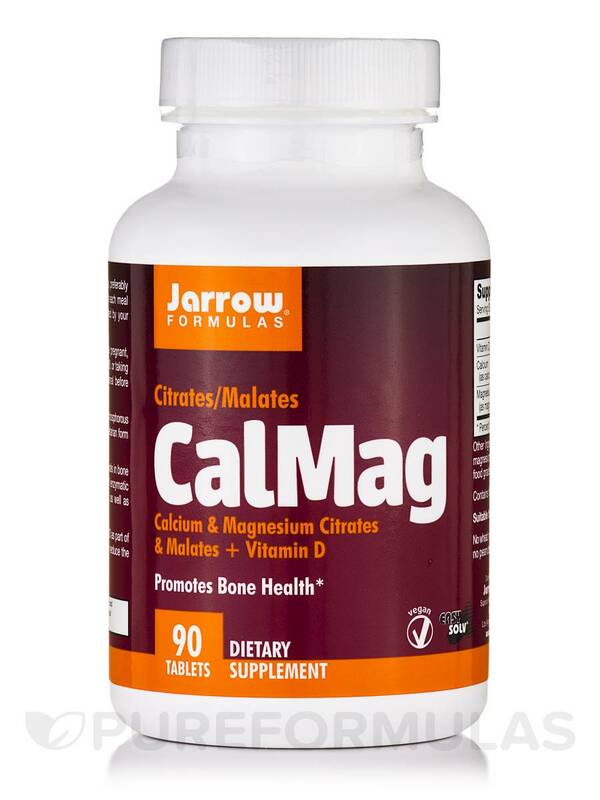 Take a daily dose of Cal-Mag Citrates/Malates 90 Tablets from Jarrow Formulas® and promote your overall bone health. Cellulose‚ magnesium stearate (vegetable source)‚ silicon dioxide and stearic acid (vegetable source). Contains fully reacted mineral citrates manufactured in USA. Take 3 to 6 tablets per day with meals‚ preferably dividing the number of tablets equally between each meal to facilitate maximum absorption‚ or as directed by your qualified health care consultant. Easy-Solv® tablets are designed to disintegrate within several minutes of ingestion. The Malate in it and easy to digest. Wish they had a larger bottle. I have been taking Cal-Mag Citrates/Malates by Jarrow Formulas for about 5 years, now and is very digestible and a good combo for me. Includes malates and has a good balance of calcium to magnesium. Would prefer it in a veggie capsule.